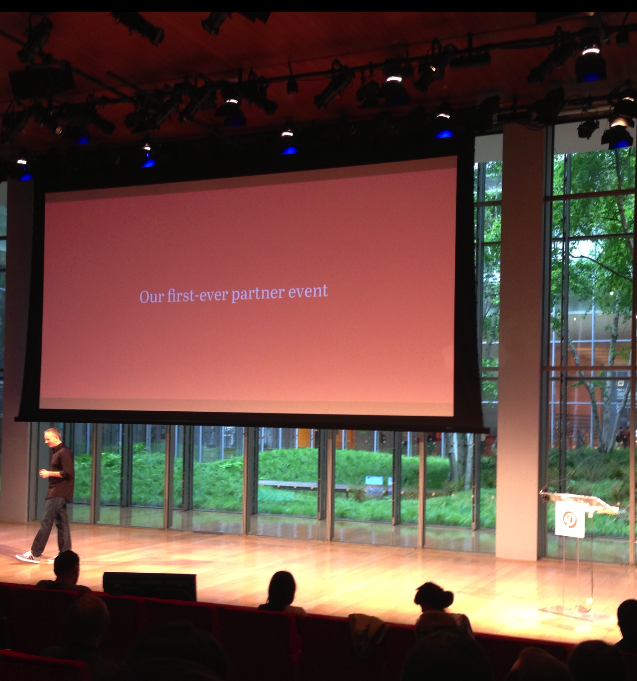 I recently attended the first ever Pinterest Partner Marketing Summit in NYC. This invite only event unveiled their emphasis on developing a strong partner program and also served as an opportunity to introduce new staff to the Pinterest partner team, new resources for brands and agencies and best practices to maximize the platform. There were five primary areas of focus for the event. 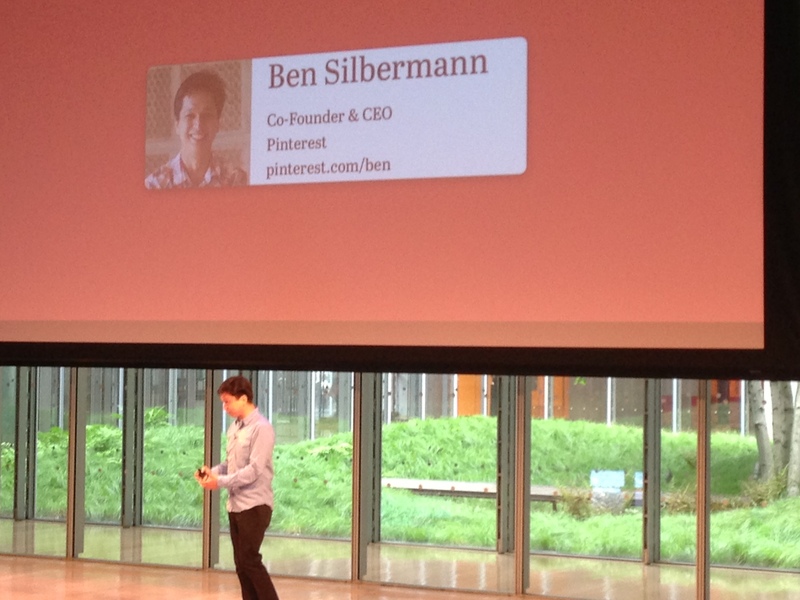 Ben Silbermann, Pinterest Co-Founder & CEO started the day by telling the story of Pinterest. He discussed his love of collections when he was young… stamps, butterflies, baseball cards, etc… he saw an opportunity as there was not an elegant solution to organize collections online. He had roots with Google and was enamored by how the search giant was able to so seamlessly focus on enabling search & retrieval across the web. If you know what you are looking for Google provides an ideal platform for search & retrieval. He actually related Pinterest more to Google & search than to other social channels such as Facebook. With Pinterest people vs. bots are indexing the webs content and organizing them by interests, something that is a bit more subjective but aligns with human behavior. One of his key points was in defining Pinterests role in discovery of content. With Pinterest, people are making discovery possible by organizing the web’s content around interests. This is their key point of differentiation as the platform is about discovery and action. It was interesting to hear Ben’s story about the roots of Pinterest and it also provided insight into where the platform is going which leads to the Interest Graph. The Pinterest team spent a good bit of time discussing what they coined the Pinterest Interest Graph. An interest graph is an online representation of the specific things in which an individual is interested. And because the focus of Pinterest is based on what people are indexing on the web and then categorizing by interests, the Pinterest Interest Graph is the foundation for their business moving forward. A key point of differentiation between Facebook’s Social Graph & Pinterest & even Twitters interest graphs are the fact that Interest Graphs are used to create people’s interest networks whereas Facebook and other social networks are organized around an individual’s friends and connections that follow them across the web. The key to the interest graph from a brand perspective is that a single product can be repined into other areas. As the single object passes across the interest graph across categories you are able to leverage the network of interests and passions vs. pushing a message and see how your product resonates in real time. This leads to driving discoverability by interest as well as distribution and lengthens the shelf life of content as it continually gets repined. Pin it Button – the theme that was repeated the most over the course of the event was the focus on the Pin It button. Pinterest reiterated that a strong Pinterest strategy starts with enabling your domain. By enabling and focusing on driving & optimizing pins down to the individual product level are the key to driving more engagement and driving higher referral traffic. Mobile Pinning – Earlier this week Pinterest launched the ability to integrate the Pin It button into a brands mobile application to further drive discoverability via mobile for both iOS & Android via SDKs. 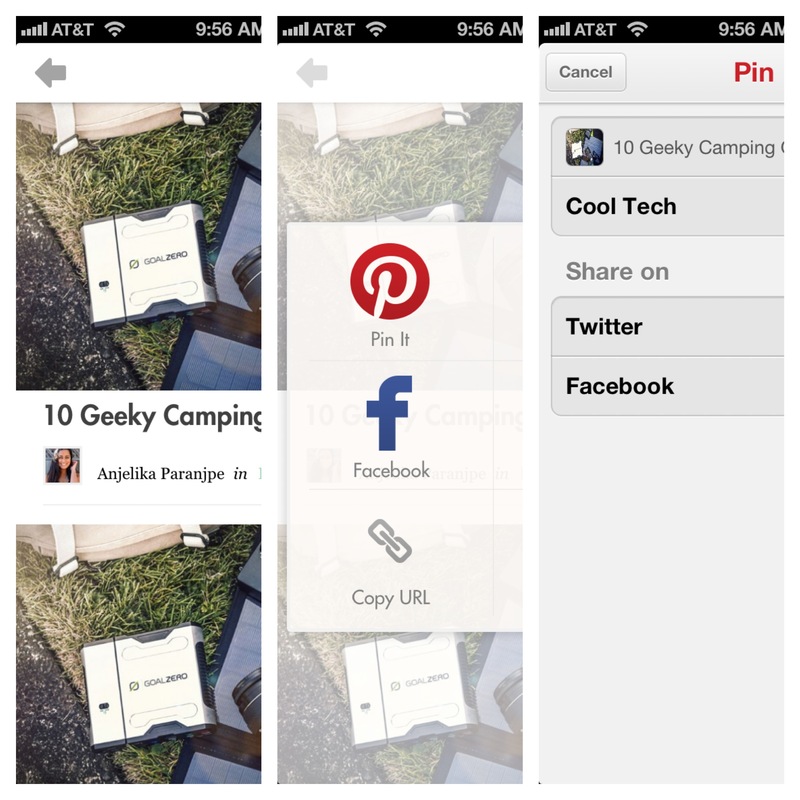 The SDK allows a brands users to create Pinterest content inside the branded app. Currently, this only supports pinning from the web, but the ability to pin local images is on the roadmap as well. Rich Pins – Also tied to this weeks launch was the release of Rich Pins. 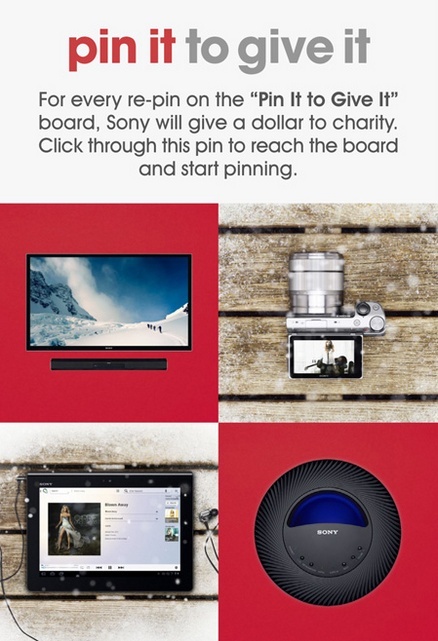 Pinterest hopes that Rich Pins lead to action and by adding more brand data to a pin tied to products, recipes & movies that more direct attribution and value for brands and users will be apparent. 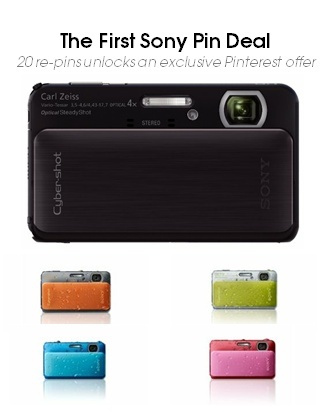 Product pins from a brand can showcase active inventory as well as price & references the source directly from the pin. Recipe Rich Pins allow more data to be added directly to the pin and movie pins offer insight into reviews as well as cast directly from the pin. Implementation – In order to implement Rich Pins meta tags need to applied to your domain and decide on the type of rich pin you want to apply for. Then once the meta tags have been validated you can apply to get them from Pinterest. From a brand perspective, this is the first step to further enabling brand content and attribution. Especially the product pins can be of value to further drive action when discovered. 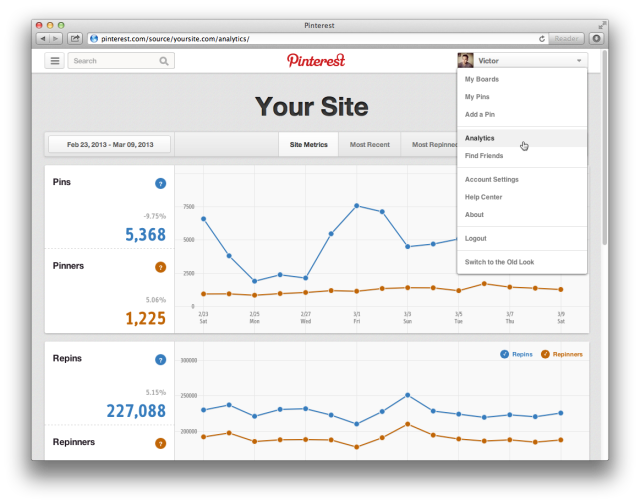 On March 11th, Pinterest launched their data analytics tool. This was another key discussion point during the course of the event. The analytics tool supports Pinterest’s position to enable a brands .com as the suite focuses on content pinned directly from the .com and focus on how many people are pinning from the website, impressions & reach over time and which pins receive the most repins and who pins them as well as what other content people are pinning alongside them. This data can be extremely useful when incorporating top pins into tailoring content for the website as well as other social channels. Nordstrom was a presenting brand and the key takeaway from their presentation was their focus on curating pins and using analytics as a driver for surfacing content on their website, e-mail as well as in store. 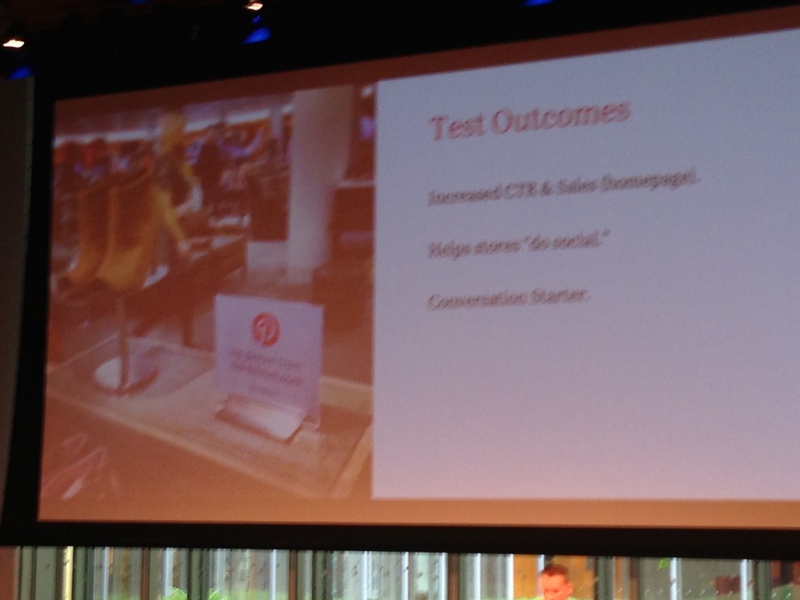 By leveraging Pinterest in this way, Nordstrom claimed increased sell through in stores and online. Pinterest also rolled out new partner tools starting with a revamped business.pinterest.com as well as a new business blog that will focused on enabling partners and will serve as the location for new product feature announcements. The team also announced that they will soon be providing webinars on best practices to further enable partners. Unlike Facebook & Twitter, Pinterest is less about working directly with their partner teams and more about enabling the platform to allow brands to maximize their presence. During the course of the event four brands were represented including Target, Sephora, Nordstroms & Sony Electronics. 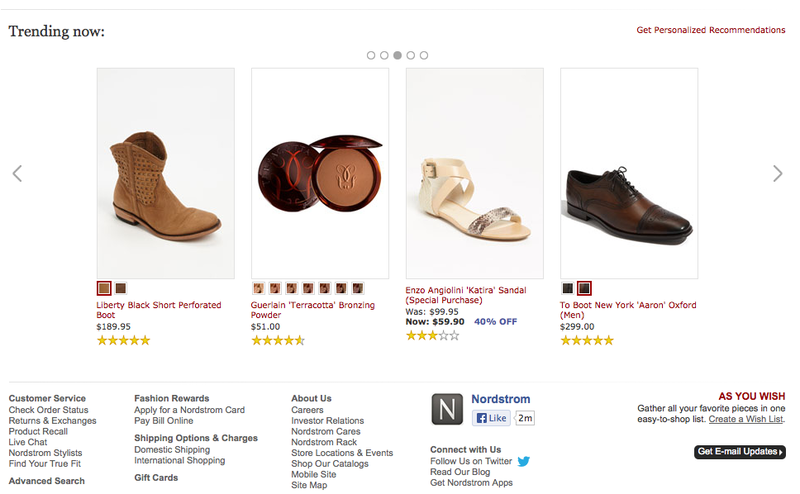 I have already referenced how Nordstroms is leveraging Pinterest data to drive their content & in-store strategy. Below are a few key points from the Sephora & Sony Electronics presentations. 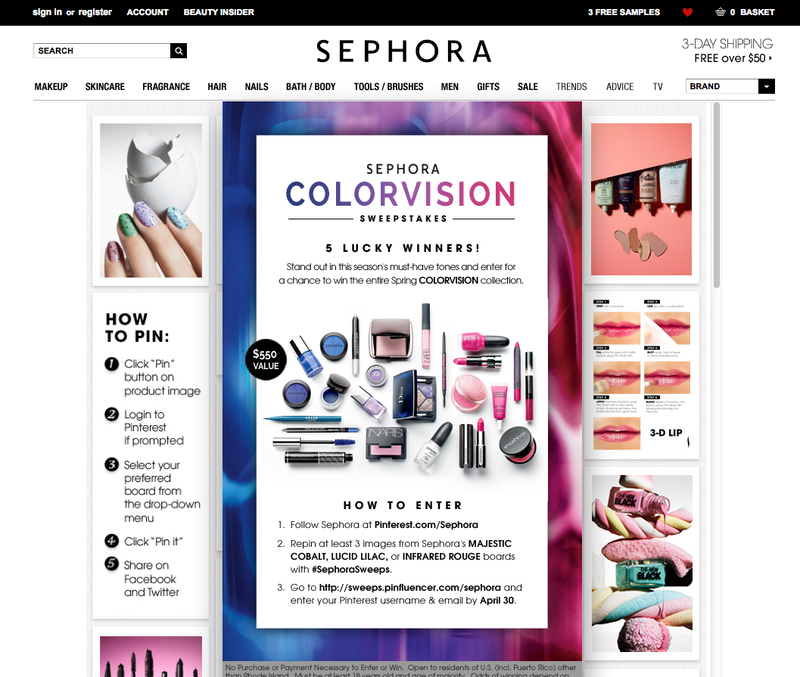 The most compelling elements from the Sephora case study was their laser focus on identifying trends via pins. Their goals were tied to making it easier to pin from Sephora.com, use e-mail to encourage Pinterest engagement and encourage clients to pin their beauty shopping lists. I was most impressed by the work of Sony electronics of the four brands that presented. What I liked about their story is they are not the first brand you think of when you think about the Pinterest platform. They are a manufacturer vs. retailer and their audience is a younger, high tech male group who is not the primary audience of the platform. They had very clearly defined strategy objectives of driving sales, acquisition and brand affinity on the platform and they have leveraged the social power of their internal organization as well as consumers to power their experience. The following is a list of best practices that were discussed during the course of the event. This is not a comprehensive best practices list, but does highlight the key points that the Pinterest team & brands represented did speak to repeatedly. The Pinterest team reiterated that the best Pinterest strategy starts with your domain.